Your eyes blink as the brilliant eastern sun shines through your windows. You roll over, stretch, and lift yourself out of bed. Downstairs, a fresh cup of coffee is waiting for you. You scoop it up and step out onto your deck overlooking Donner Lake. The crisp, invigorating mountain air pours through your nostrils and expands your lungs. A variety of birdcalls fill the air. Already, there are several kayakers and paddle boarders gliding across the placid waters. As you watch, a bald eagle parts from his perch and begins circling over the lake’s crystal clear surface. Moments later, he dives and scoops up his own morning pick-me-up, a healthy rainbow trout. From your new home near Donner Lake, you’ll need less than ten minutes to drive to the shops and restaurants in Downtown Truckee. Even riding a bike from Donner Lake downtown typically requires no more than thirty minutes. Navigating is as simple as can be, as well. There are no complicated one-way city streets or tricky hidden turns you can miss. Simply point your vehicle east on Donner Pass Road and stop when you find what you’re looking for. The Tahoe region is a four-season recreationist’s paradise. No matter the time of the year, there are always many taking advantage of the glorious Sierra Nevada Mountains that set the epic backdrop for the area. Donner Lake, especially, is an ideal location for access to miles of stunning backcountry to the north and south of the Highway 80 – Donner Pass corridor. Avid climbers can pick and choose from hundreds of lines as they drive up Old Highway 40 to the west of the lake. 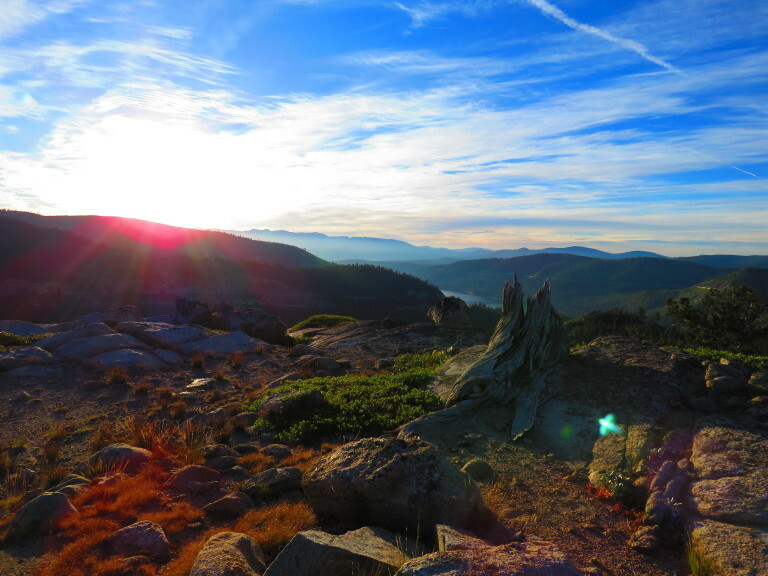 Backpacking aficionados will enjoy no more than a ten-minute drive to the Donner Pass Trailhead for the Pacific Crest Trail, which provides access to miles of the region’s most breathtaking scenery. In the winter, backcountry skiers and split boarders frequent the epic terrain of Castle Peak, which is a mere ten minutes from Donner Lake and provides killer views of the Tahoe-Truckee basin. Because the region boasts more than 300 days of sunlight every year, paddle boarding has quickly turned into a year-round sport on the lake as well. Just be careful not to fall in! Or at least get yourself a really thick wetsuit!